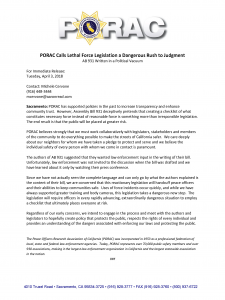 PORAC has supported policies in the past to increase transparency and enhance community trust. However, Assembly Bill 931 deceptively pretends that creating a checklist of what constitutes necessary force instead of reasonable force is something more than irresponsible legislation. The end result is that the public will be placed at greater risk. On Tuesday, April 3rd representatives from the California Assembly announced a plan to restrict law enforcement’s use of deadly force. 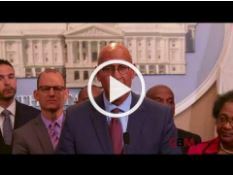 Click Here to view the full press conference to learn more about the proposed bill.